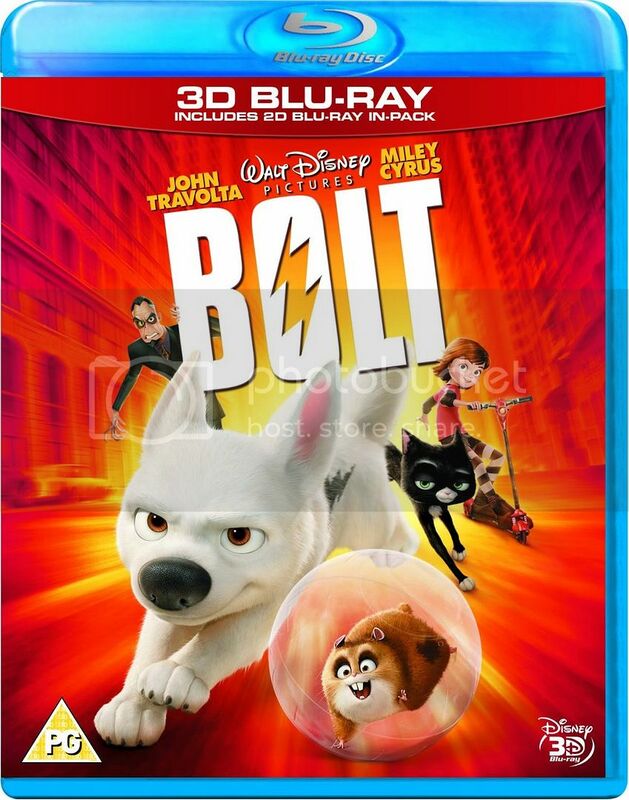 ‘Bolt’ debuts on Blu-ray 3D from Walt Disney Home Entertainment with a 1080p MVC video presentation. This release is 3D only and the disc will only load if you have a 3D enabled Blu-ray player connected to a 3D display. A 2D copy of the film is not included at the moment; however it is expected once a general retail release is announced. The Blu-ray 3D release looks simply fantastic, but there are just a couple of brief moments which keep this from being the most impressive 3D presentation available. Viewing the film on my Panasonic 3D plasma, I did notice some slight ghosting in the ‘Bolt’ logo at the beginning of the film. The second noticeable ghosting moment occurs on the train in which the ladder drops towards the audience, there was significant ghosting for a few seconds, but depending on your display it may not be a very distracting issue. Aside from those two moments, there really wasn’t anything that stood out in a negative manner. The 3D pop is quite fantastic in this release and it starts off extremely strong. 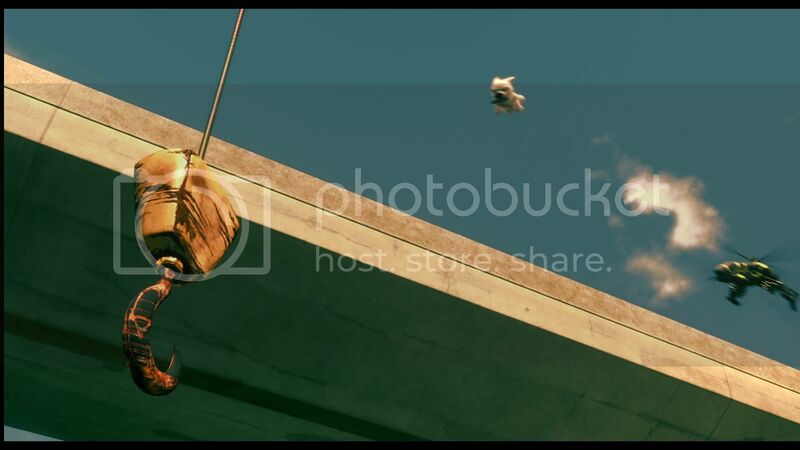 The opening action sequence provides plenty of 3D depth and pop which is cleverly used. The pop is especially present during the action sequences, but even the milder of scenes feature at least somewhat of a pop effect. The characters themselves tend to look outside of the screen throughout, particularly during close-up shots. 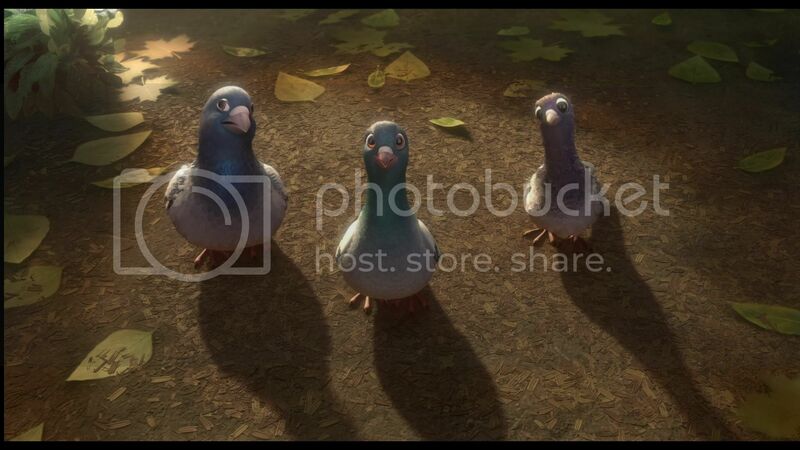 The film features a great mix of 3D with content that will appeal to everyone. There are some somewhat gimmicky effects placed in this kids film, which is welcome in this situation and thankfully it isn’t random (like the paddle ball scene in Monsters vs. Aliens). An English 5.1 DTS-HD Master Audio Extended Surround track is included as the lossless option; there are also plenty of 5.1 Dolby Digital tracks such as Spanish, French and more. English, French, Spanish and Italian are just a few of the subtitle options included. The English DTS-HD Master Audio track included is the exact same mix found on the previous 2D Blu-ray release. I remember the 2D mix well, particularly the specifically placed surround use moments, such as the scene when Rhino is watching television and the television audio comes from a left surround speaker. The same impressive mix can be found here. 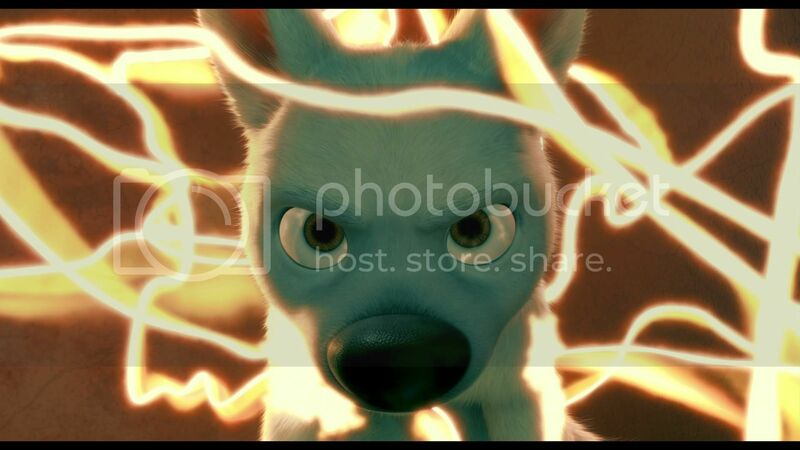 The film starts off with a strong action sequence following the opening ‘Bolt’ logo and it makes for fantastic audio mix. Everything about the mix is strong. Dialogue is crisp and clear as expected and surround use is aggressive and immersive. 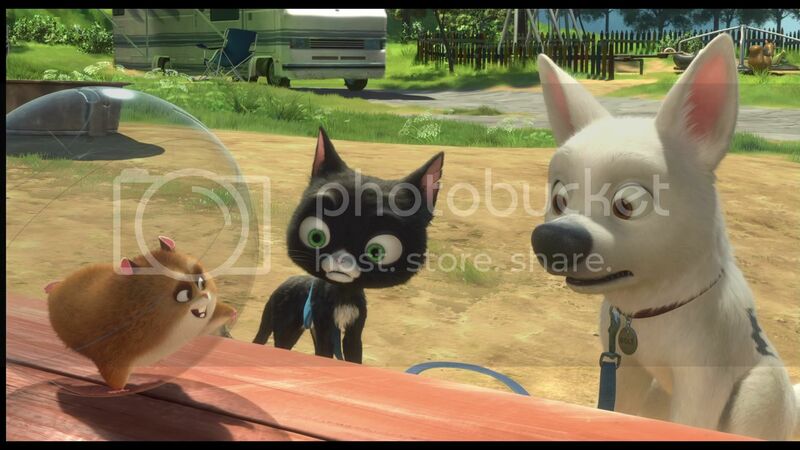 ‘Bolt’ is one of my favorite Disney computer animated films not from the Pixar brand. When the original trailers released for the film I didn’t have any idea I would love the film as much as I did, the characters looked somewhat annoying and the story just didn’t look particularly appealing. The film really delivers however, with fantastic characters and a great storyline. The storyline while not Oscar worthy was enjoyable for a family film and brings plenty of humor and heart. The characters are amazing however and I was especially surprised by that aspect. 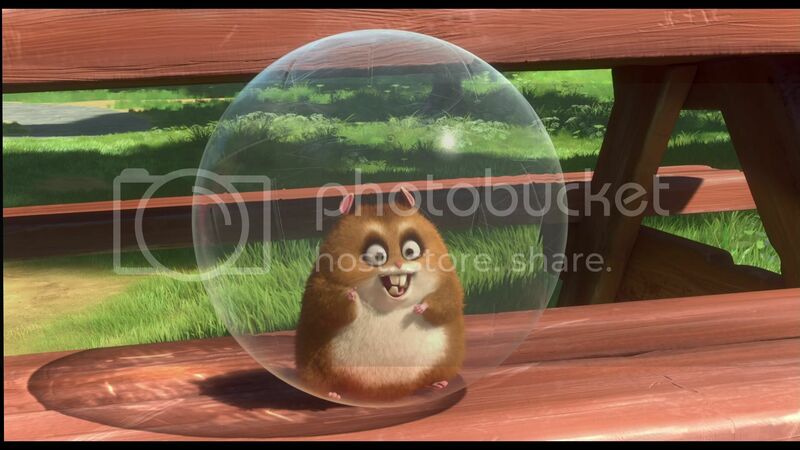 The hamster named ‘Rhino’ is one of the cutest (slightly annoying) Disney characters ever and quickly became one of my favorite Disney characters of all time. 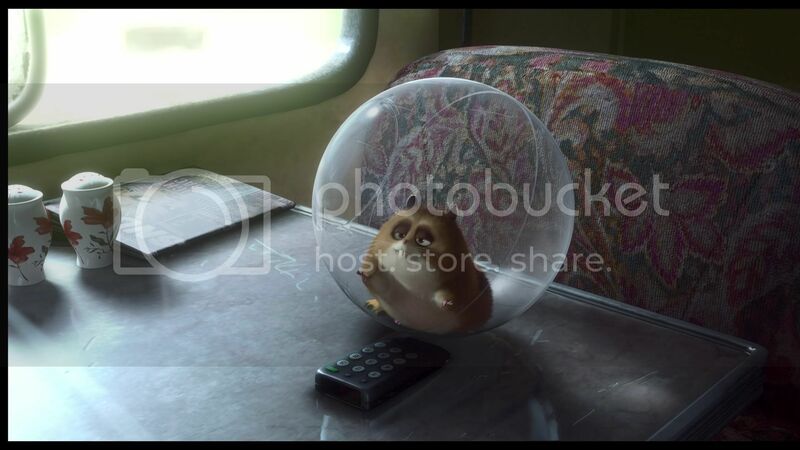 He may be small, but he brings some of the funniest moments to the film as well. The 3D film is one which I am experiencing for the first time as I did not see the film in 3D theatrically. 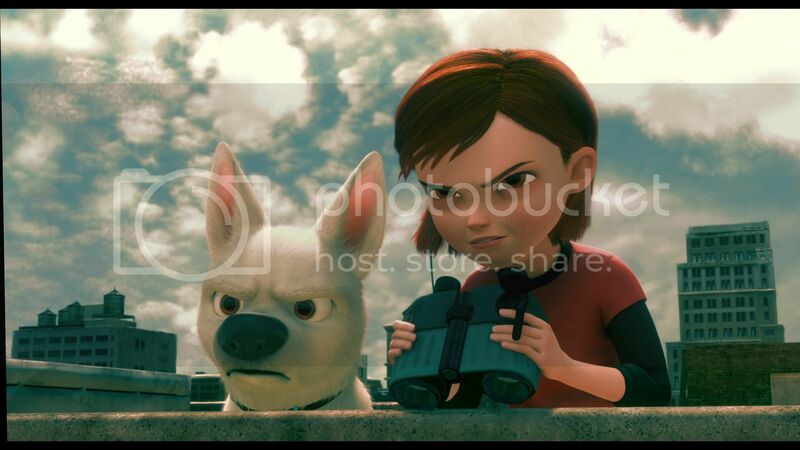 The film was obviously made with 3D in mind and it is clear with the impressive level of 3D use in the film. The film doesn’t rely on gimmicks to make an impressive 3D presentation and that is what I enjoyed most about it. 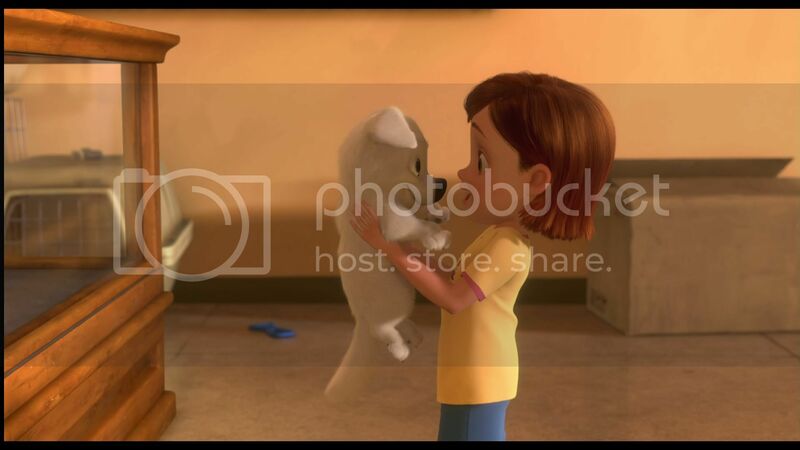 Moments of 3D pop are present throughout the film and it will impressive viewers of all ages. I loved the 3D use during the action sequences especially, it adds a level of immersion that just isn’t there in the 2D presentation and basically makes many scenes far more exciting, it really is so neat. 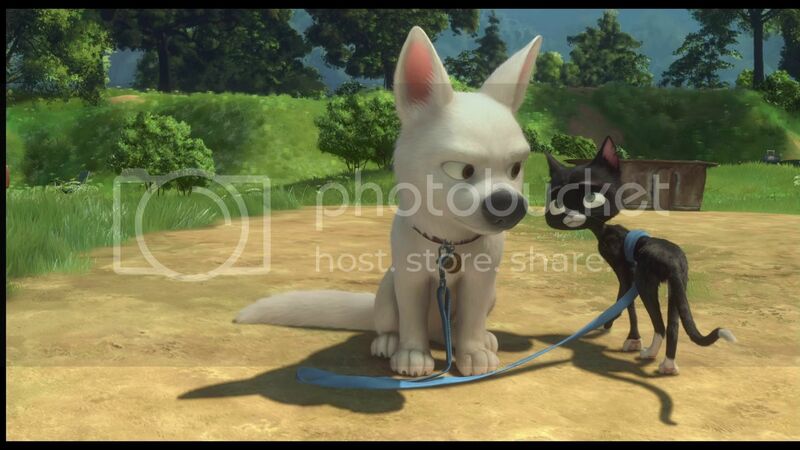 ‘Bolt’ on Blu-ray 3D is among the best 3D releases yet. The video and audio presentations make for a fantastic demo-worthy experience. Overall this Blu-ray 3D is a ‘Must Own’ for fans of the film, whether you get your hands on this exclusive soon or wait until a regular U.S. retail release.